Top Things to do in Austin this Fall! Although it is obvious that I love summer... I must admit, fall is my favorite season of all. And autumn in Austin really can't be beat. The chilly mornings, warm afternoons, clear skies and crisp air!! There are also lots of festivals and events in Austin during this time. I haven't made it to all of them, but if you're looking for something special to do, here is a good list of what is going on! Since 1998, the Austin Museum Partnership has hosted Austin Museum Day – a free, city-wide rediscovery of Austin museums. 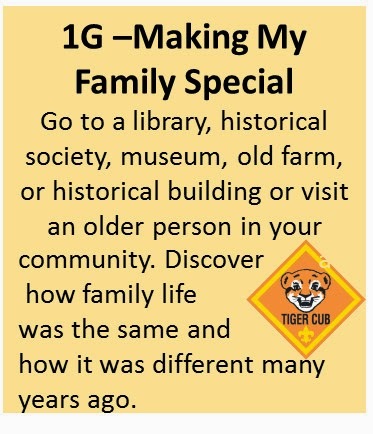 The day provides families with a unique opportunity to access the dynamic museum community including local exhibits and activities at over 40 participating institutions at no charge! While this event goes on all year long on the last Tuesday of the month, autumn is the perfect weather to get out and enjoy it! "Sample the delicious food trucks of Austin in one easy location. Try popular local favorites and enjoy something new every last Tuesday of the month." "The Pecan Street Festival is a FREE, bi-annual arts and crafts festival held on historic 6th Street every first weekend in May and every last weekend in September. The show proudly features over 275 artisan vendors from all over the world who display and sell homemade art and craft work." Our favorite is the Texas Corn Maze. This is a huge maze, and you must find all the cities within the maze. It can take up to 45 minutes to finish. Split into groups and see who is fastest! Don't miss the freshly made pumpkin ice cream!! Admission is free, however activities cost between $2.50 and $7 plus the cost of a pumpkin. To participate in all events would be $40 per child... but we've never done that! Pick and choose and you'll spend around $20 per kid..
"ACL Festival takes place on 46-acres in Zilker Park, the crown jewel of Austin’s public green spaces. It plays host not only to 130+ artists from across the globe, but amazing local eats and wares, free fun for the kiddos, green goings-on, and other cool activities to entertain you between sets! Scroll down to see the Austin Eats Food Court, ACL Art Market, ACL Cares and Austin Kiddie Limits partners appearing at Zilker Park during both weekends of ACL Festival 2013!" This fun event allows kids to view animals after regular Zoo hours. Pack a picnic and put your little ones in their costumes for a fun-filled train ride full of animals and ghosts( who pass out candy)! Younger children can take the earlier train rides, when it is still light outside. Bring a flashlight to better see the animals. Boo at the Zoo is the Austin Zoo's annual fall fundraiser benefiting rescued animals. "When the veil between the worlds grows thin at the time of harvest, the powers of Darkness try to rip open a gateway that would permit evil to gain foothold in the mortal world....The Brotherhood wisely concealed magical symbols throughout the farmlands... Your quest is to locate and combine each of these symbols onto a single manuscript page and save our village." I Dreamed A Dream...experience the international musical phenomenon LES MISÉRABLES, up-close and personal, in the intimate Topfer Theatre! Soaring anthems, unbridled patriotism and the quest for redemption reveal the heart of a man who must leave his past behind to fight for life, love and liberty. This free community event includes fishing in Brushy Creek Lake, as well as an artificial pond stocked with hungry fish for beginner anglers. Smaller children can try a “backyard bass” activity consisting of rubber fish spread across a tarp “lake” that teaches children casting and how to identify legal game fish. Participants must complete a scavenger hunt in order to earn the chance for great prizes! The Polyanna Theater Company presents a play about "Evan, like many 7 year olds, does not like to clean his plate, especially a plate filled with peas. And to make matters worse, baby sister Sue loves them. " Another long drive from Austin (about 2 and a half hours). But this is a fun event that every family should try at least once! "The enchanted 55-acre village comes to life as all of Europe comes to pay homage to the King and Queen with Eight Themed Weekends. Hundreds of costumed performers are showcased in over 200 daily performances. Visitors meander along shaded cobblestone walkways visiting almost 400 shoppes overflowing with unique arts and crafts of offering delicious foods and beverages. " Art Outside is a unique three day festival combining visual and interactive art, performance, film, as well as a wide range of music bridging genres, from bluegrass to experimental, hip-hop to dance music. Art Outside started with the idea to bring art out of the gallery and into a unique setting where different forms of art can connect and be enjoyed by all. Art Outside - Folk it Up StageThe festival takes place at Apache Pass. This site features hundreds of acres of grassy camping areas and lush pecan trees scattered throughout. What better way to get in the mood for Halloween than watching Ghostbusters with your family! Movies in the Park is a series of free films brought to you by the Austin Parks Foundation, and presented by the #1 movie theater in America, the Alamo Drafthouse. Dogs, picnics, and lawn chairs are welcome. Alcoholic beverages, glass and styrofoam are not permitted in the park. Sunday, October 27th, from 4 p.m. to 7 p.m.
"Families can dress up in their Halloween finest and bring a camera to take memorable snap shots. Come dressed as a character from nature and join the costume parade through the courtyard at 6:00 p.m. Think butterfly, moth, spider, and ladybug costumes. Be sure to stop by the Wildflower Center Café for hot chocolate and other seasonal beverages and food." Admission: $9 for adults, $7 for seniors and students, $3 for children 5 through 12, and free for Center members and children under 5. "Bring your own pumpkin and carving tools to the gardens today for a workshop on pumpkin sculpting followed by an intense round of judging for their annual competition! Workshop led by Texas Society of Sculptors’ Marla Riperda. Categories include: Best Effort by an Adult, Most Likely to Disintegrate Today, Most Likely to Make it to 2013, Classiest Display, and of course Spookiest Sculpture! Admission: Free when you bring your own pumpkin! This is a bit for from Austin - a little under a 3 hour drive. But I've heard that some of the prettiest fall foliage around can be found in Lost Maples Campground. The park can receive over 1,800 visitors in a weekend. So pack your hiking shoes for a day, or put your tent in the car and enjoy an overnight visit! "House of Torment is a premiere haunted attraction at a multi-level, 20,000 square-foot facility at Highland Mall featuring elaborate Hollywood-quality sets, iconic characters portrayed by talented actors, towering animatronic monsters and terrifying scenarios." A "unique annual celebration rich in German culture and full of Texas fun! Located near the headwaters of the beautiful Comal River in New Braunfels, Texas! Here you’ll enjoy good food, music, dancing, exciting carnival rides and games, German, Texan and domestic beer, special events and the finest in Alpine and Bavarian Style Entertainment. 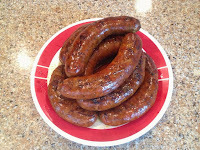 It all happens at Wurstfest! The best ten days in sausage history." "This year’s spook-tacular show is sure to have you shakin’ in your boots! Your little ghost or goblin will help haunt Long Center’s Dell Hall as the Austin Symphony Orchestra presents its annual Halloween Children’s Concert, featuring mindchilling songs that are entertaining for all ages! The entire family is encouraged to join in on the fun and dress to impress in their favorite costumes while attending a concert full of “boo-tiful” music." "Barton Hill Farms is set among 100-year-old cottonwood trees, rolling grassy hills and the picturesque Colorado River. Our Fall Festival & Corn Maze is the perfect setting to let your kids enjoy true outdoor entertainment, including rides, games, a corn maze, pumpkin patch, local vendors and farm animals." When darkness falls at the Bullock Museum, history's spookiest stories are brought to light. Discover terror-ific tales of Texas through games, storytelling, costumes and more! Featuring the work of over 60 Texas potters and clay artists, the festival offers the opportunity to view and purchase a wide variety of pottery, from traditional to sculptural by the top clay artist in the state. Take this unique opportunity to watch and learn as demonstrations are held in four tents throughout both days. From forming on the potters wheel to hand-building to raku firing, there is something for everyone. The Texas Book Festival celebrates authors and their contributions to the culture of literacy, ideas, and imagination. The signature event has evolved into one of the premier literary events in the country and takes place in and around the State Capitol in Austin, hosting more than 250 authors each year. More than 40,000 book lovers of all ages attend the Festival annually, enjoying author readings and presentations, panel discussions, book signings, cooking demonstrations, live music, local food, vendors from across the state, children's activities, YA authors, and purchasing books in the Festival's tents. Join the Austin Celtic Festival as they present world class music, dance and fun for the whole family. This unique festival features a full day Dia los Muertos cultural experience with live music, performances, art, costume contest, food and drink. The festival brings together a dynamic blend of the Austin musical landscape with vibrant Dia de los Muertos traditions. Proceeds will benefit Easter Seals Central Texas’ mission of providing exceptional services to people with disabilities." In 2006, Fun Fun Fun Fest booked its first set of acts in downtown Austin and it didn't take long for it to become the darling of independent festivals for music lovers and music makers in the United States. Throughout the years, Fun Fun Fun Fest has become renowned for its musical lineup, as well as its collection of comedy, food, action sports, and poster art experiences. Now in it's eighth year and recognized as one of the most relaxed, creative, and pioneering festivals in music today, Fun Fun Fun Fest is custom booked for the most passionate, underground, and progressive musicians, comedians and fans around the world. An awesome Austin tradition! Join with a gaggle of other Austinites in this 5 mile run. Nothing quite makes Thanksgiving dinner taste better than a nice run in the morning. Whether you are a marathoner, or a mom with young children, this race is perfect for everyone. Walk or run, it is always fun! And that late start time (as compared a traditional start of 7am) makes this race perfect for first timers! Each pack graduates its boys at different times. Some graduate Tigers to Wolves at their Blue and Gold Ceremony in February, some go all the way until the end of the May. To best plan your year, it helps to know when you need to get everything completed by. 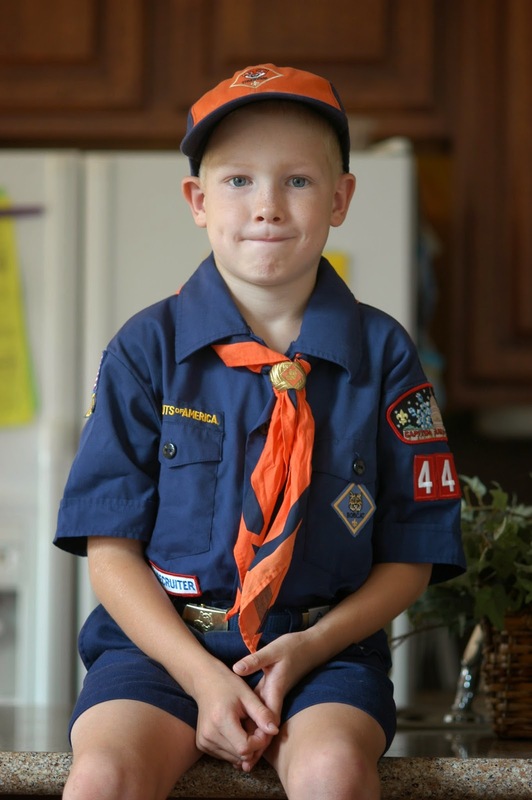 If you don't know when the boys cross over to the next rank, ask your cub master. I'll never forget the day I overheard a boy talk about his den leader. "That's my dad", he said, brimming with pride. Every child loves to see their parent in charge, leading. As a den leader, make sure you give every parent a chance to shine in their child's eyes. Don't try and plan everything yourself. This is serious. You should never, never be alone with another child that is not your own. If you are driving in the car, make sure there is another child, or preferably, an adult with you. Going on a hike, do the same. This is not just protection for our boys, this is protection for you. You never want to be in a situation where it is your word versus a child's. And if you are never alone with a child, that can't happen. Take this very seriously. There are a lot of meeting planning tools out there. Google Doodle was recommended; agreeadate is another. Whichever tool you use, pick a couple of different dates, throw them out to all the parents, and pick the one where the most kids can attend. This way, everyone can see which dates work best, it is easy to choose and it doesn't feel personal. 5 ●●● These Go See Its will create amazing and awesome memories for a group of boys. Enjoy them!! Everyone says it, but it really is true. These years with your kids fly by faster than you can ever imagine. 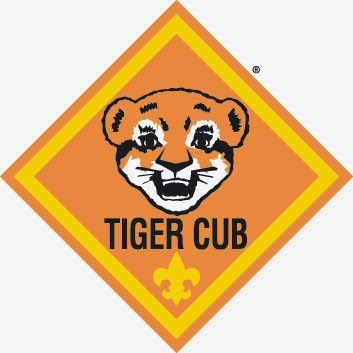 If you were a cub scout, think back to your memories in the den. Go See Its should be fun. They won't be perfect, kids aren't perfect and neither are adults. But they should be fun! Enjoy it!! 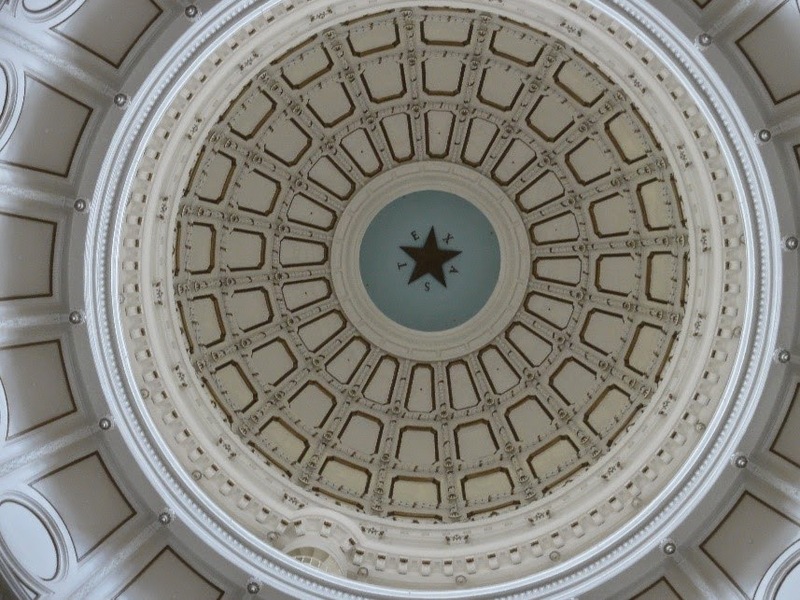 There are so many great places to go in and around Austin to learn about history. The key, when picking this den activity, is to pick something that is going to be active and keep the boys' attention. Below are just eight possible places you could go. Some, like the Capitol, are pretty fast and easy. But if you have a whole day, check out the day trip to Brenham below for a really memorable event! One of Austin's newest museums, the Bullock opened in 2001. Learn everything you might want to know about Texas History, enjoy the special effects at the Texas Spirit Theater, or watch an IMAX production. Located in North Austin, the farm has five themed historic areas to explore: an 1840s Tonkawa Encampment, an 1860s German Immigrant Farm, an 1870s Texan Farm, an 1880s Cotton Planters Farm and an 1890s Sprinkle Corner rural village. They have many scheduled activities, so check out their calendar. Located about 50 miles west of Austin, Sauer Beckmann Farm is a living history farm located in the LBJ State Park. Costumed interpreters carry out the day-to-day activities of a turn-of-the-century Texas-German farm family. Spend a morning or afternoon visiting the Capitol. 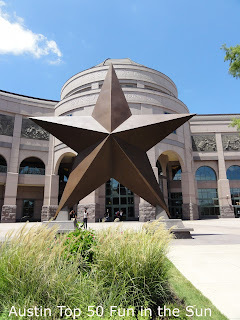 Start at the Texas Capitol Visitors Center, a free museum that has a lot of interactive exhibits, to learn more about the history and building of our Capitol. Then head over to the Capitol for a free 45 minute tour. Bring a picnic lunch to enjoy on the Capitol grounds under the huge pecan trees. This museum, also located on the UT Campus, has recently been renovated. Interactive exhibits give a complete look at the life and times of this famous president! A 45 minute-long self-guided tour of the UT Tower escorted by UT student guides. Patrons will ride an elevator to the 27th floor of the Tower, then take three short flights of stairs to the observation deck. An auxiliary elevator is available to guests with restricted mobility. This is a two hour drive from Austin, but if you are looking for a really fun day trip to take your dean on, this can't be beat! The Washington on the Brazos state park is devoted to informing visitors about the signing of the Texas Declaration of Independence. On site, there are a number of attractions, some are free, some are not. 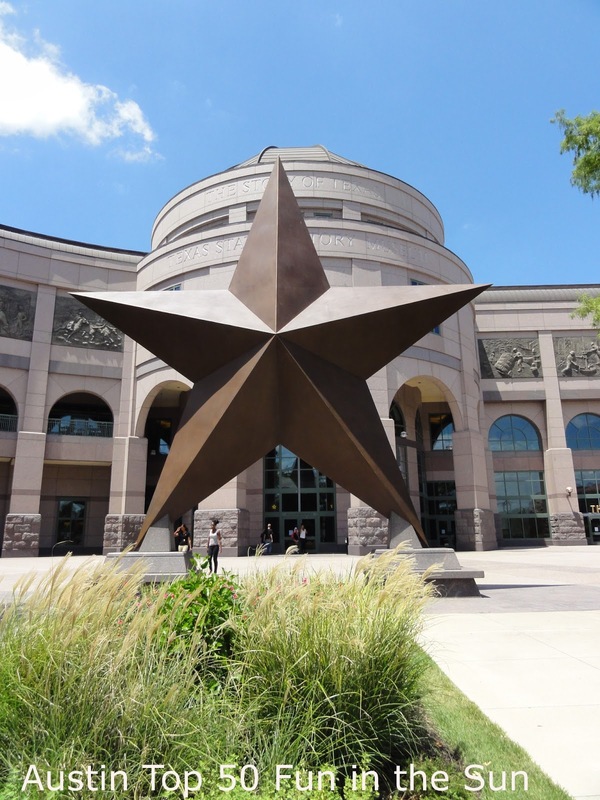 There is a visitor’s center, with a large walk-through display of Texas history. As a super big plus to heading out to Washington-on-the Brazos, the Blue Bell Ice Cream Factory is located right around the corner! After you finish with the park, take the kids for an hour long tour, finishing up with a scoop of ice cream. This is, by far, the easiest of the Go-See-Its. 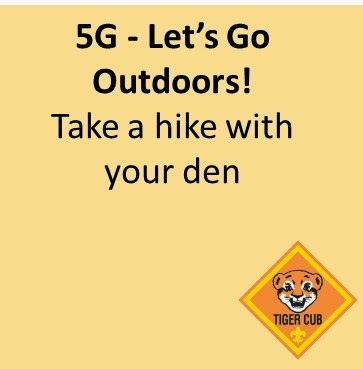 You can do it during a den meeting, you can take a hike during a campout, or you can plan a special hike. One year, we took the kids to the zoo; we figured it was outdoors and they'd be hiking around. It was a great visit. Below are some of my favorite hikes that will appeal to the younger crowd; caves, peacocks, waterfall and dinosaur prints. What's not to love?? About a half mile west from the 183 bridge that crosses the South Fork of the San Gabriel River is a truly amazing sight! Approximately 12 (maybe 11) dinosaur footprints are embedded in the rock of the river bed. There is something amazing about looking down and seeing a trail of dinosaur footprints that are over 100 million years old! At this site there are no fences, no signs, nothing but a trail of prints on a dry riverbed. Many people are familiar with Mayfield park and its wonderful peacocks and manicured grounds. A definite place to visit and see. But what many haven't discovered are the great hiking trails located at the back of the park! There are two trails that lead off from the park. The western trail leads down to a sliver of Lake Austin.The eastern trail leads to a small creek, with teeny tiny frogs small fish and more. The trail then leads over the creek to an upper area with small caves that are perfect for climbing into and around. Hamilton Pool is a Travis County park located about a half hour southwest of Austin. While Hamilton Pool is mostly known for its wonderful swimming hole, there is also a really nice hike on premise! So, after hiking down the quarter mile down to the pool, check out the .6 mile hike out to the Pedernales River. The hike takes you from the verdant pool area through more typical Texas landscape and then out onto the Pedernales River. The Goat Cave Karst Preserve hike is very short (about .15 miles) but has three points of interest. The first point of interest, located only steps down the path, is the Wade Sinkhole. This is a four foot hole eroded out of the rock. Bring your flashlights and climb into the hole to check out the cave below the ledge! The final cave, Goat Cave, is entirely blocked off by a chain link fence. You cannot even see the entrance to the cave. The cave opens into a 25 foot drop, so the fence is four our protection. But it does limit the interest! The trailhead is located along the side of Deer Lane (off of Brodie).There is no special parking lot, so just park on the side of the road! The Bull Creek Greenbelt is a gem of a hike, located near 2222 and 360. The 3.5 mile hike has lots of small waterfalls, gorgeous wildflowers and all sorts of critters. A short hike along the creek will take you to a less populated area, where dogs frequently roam free. With the drought the water isn't flowing as much, there is still water flowing through the creek. Trailhead: Park in the parking lot for Bull Creek Park and head down to the creek. Cross the creek to get to the south side and you will see the trail start up. You can also hike along the creek bed, but you will have to haul yourself up some steep rocks to get past the waterfall above and back onto the trail. To continue on to the northern part of the hike, head back down to the creek after the second falls and continue under the Mopac bridge. This hike is minutes from downtown, and yet hiking along the Barton Creek Greenbelt, you feel like you are in the middle of nowhere! Right now, the creek is mostly dry :o( but when it rains, it quickly fills up and provides a great swimming hole. However, even without the creek, it is still a nice hike! Twin Falls is located about a half mile from the trail head, along a well-tended and downward heading trail. About a mile past Twin Falls is Sculpture Falls. You will pass high limestone cliffs riddled with caves, huge, old live oaks, and a variety of wildlife! I hope this helps your den to plan their Go-See-Its. If you have any questions or comments, please feel free to email Annemarie at bloggeradmin@austintop50.com.